My novel Mary and the Captain was published last year. The story is a continuation of Jane Austen’s Pride and Prejudice. In the book publishing world, Mary and the Captain fits very neatly into the Regency Romance sub-genre of Jane Austen Fan Fiction (JAFF). Like many people who read, enjoy, and admire Jane Austen’s greatest work, I always wanted to know what happened to her characters after the close of her original novel. So I knew, when I took up my figurative pen to write my continuation of the classic story, my book had to be as perfect as possible. I don’t mean perfect in its physical form relating to layout and formatting and proofreading (although those elements are certainly important). By “perfect” I mean that my book had to hit the right tone in its characters and plot so the overall story was true to Austen’s original. Why was that so important? Because JAFF readers know their stuff. They can spot an Austen error from a mile away. JAFF readers are dedicated to the genre. They typically read at least one JAFF novel a month. It’s a tribute to Jane Austen that 200 years after her death, her novels—particularly Pride and Prejudice—are more popular and more loved than ever before. Readers identify with her characters and want to continue to read about them long after Austen’s original story comes to an end. That’s why the number of JAFF writers and readers grows daily. Want proof? 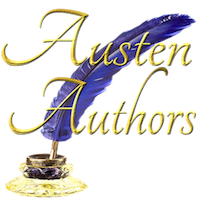 Austenesque Reviews recently published a list of Jane Austen inspired novels and stories released in May 2018. Click here to see their list of 48 new titles for the month of May alone. And for every new JAFF book, there’s a new JAFF reader who can’t get enough of Darcy and Lizzy, Anne and Wentworth, or Emma and Knightley. JAFF readers know what they like when it comes to variations of Jane Austen works, and they show their appreciation for a good story (or criticism of a poorly written story) by leaving reviews of JAFF books on book retailer websites. I’ve been fortunate to have received several reviews for Mary and the Captain, and I’ve read every one—the good reviews, the bad reviews, and those in between. When readers take the time to tell me the particular reasons they liked or disliked my story, I pay attention. Overall this rates as probably the most entertaining Pride and Prejudice continuation story I’ve read and I’d highly recommend it to others. I believe the author is American; however the sense of England and use of English terms is almost flawless, with the notable exception of the word ‘lint’ – if English characters must pick bits off of each other, let it be ‘fluff’ or ‘dust’ – but otherwise very well done indeed! Chriss found me out. I am, indeed, American; and as an American, I know I have to say lift instead of elevator, trousers instead of pants, jumper instead of sweater, and queue instead of line. I also should be spelling certain words that contain the letter “o” with “ou” or substitute the letter “z” with “s” and “e” with “ae” if I want my British settings and characters to be believable. But the truth is, the word “fluff” never crossed my mind; but now, thanks to Chriss, I will never forget the lesson. This is hands down my favorite P&P sequel focused on Mary. Lady Susan is so deliciously evil. His manners were so deliciously charming, I couldn’t help but say yes to whatever he suggested. When I reviewed my manuscript, I realized I had used the word “delicious” only twice (as in “the delicious feeling of his hand in hers” and “a long, delicious kiss”). Still, it was two times too many if it meant Cathy G or any other reader was jarred out of the context of my story by the use of a word that was out of place in the Regency era. And if Cathy G noticed my misuse of the word, how many other readers noticed it, too? Based on Chriss’ and Cathy G’s comments, I clearly have some things to work on as I write my next Jane Austen inspired book. For assistance, I now keep a copy of Understanding British English on my desk top beside my dictionary and thesaurus. I’m grateful to Chriss and Cathy G and all the other readers who took the time to leave a review of my book. Their thoughtful and generous comments are very encouraging to me, and they give me plenty of inspiration as I write my next book. They also taught me a lesson that I’m keeping in the forefront of my mind as I work to make my next JAFF novel better than ever and devoid of all traces of delicious lint.